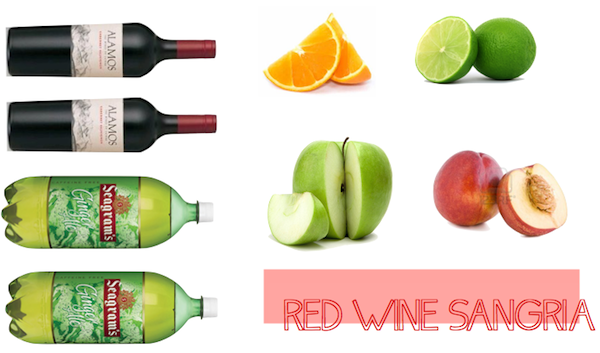 To make 2 pitchers, Add 2 bottles Red table wine [preferable rioja or cabernet] and sliced fruits [orange, lime, green apple, peach, grapes if you want ] together. Let refridgerate for 1 -3 hours. When chilled and ready to serve, and mix in one bottle of ginger ale [or 1/2 bottle ginger ale per 1 bottle red wine] Add ice, and serve! 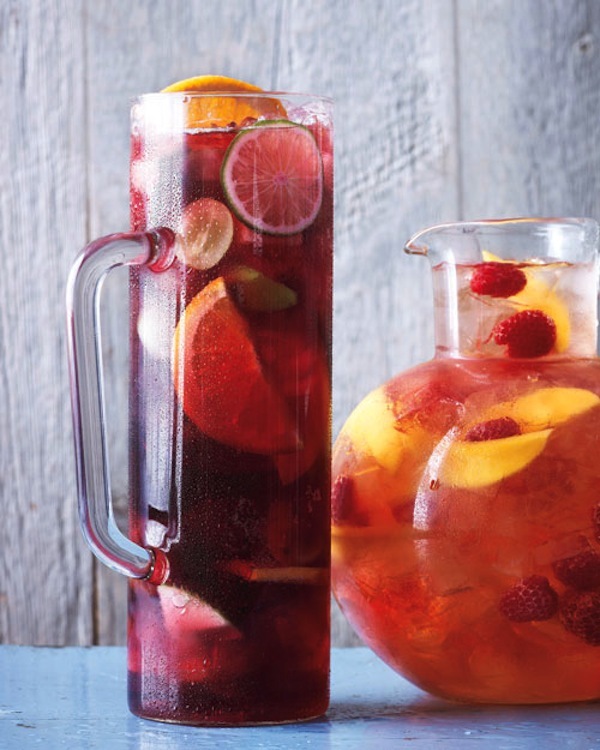 Sangria is so great on a nice day outside, love the new colors on the layout also!